Ear infections are caused by a bacteria or virus entering the middle ear. Ear infections occur more often in children than adults. 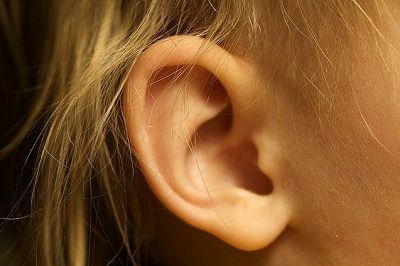 This typically causes pain in the ear, difficulty sleeping, fever, headache, difficulty hearing, and fluid draining from the ear. In some cases it can also cause dizziness, vomiting and diarrhoea. Although they are not an unusual problem, many people are unsure of how to cure an ear infection. Many parents also are hesitant to give a child antibiotics due to the possible effects of long-term antibiotic use and the possible growth of antibiotic-resistant bacteria. If your child is mildly ill and you may choose home remedies for ear infections. Heat relieves pain and helps destroy bacteria, it also brings more blood to the affected area which improves healing. Dip a clean washcloth in lukewarm water, ring out the excess water and then place the washcloth on the infected ear. You can also use heating pad. Do not allow children to go to bed with a heating pad. They could get burned. Essential oils can help to naturally clear up ear infections and to ease any pain associated with them, in most cases eliminating the need for antibiotics. Oils often recommended for this purpose are eucalyptus, rosemary, lavender, oregano, chamomile, lemon, and thyme. They are generally considered to be safe, natural compounds. Dilute 1-2 drops essential oils and rub gently around the outside of the ear and over the lymph nodes on the side of the neck. The oils should not be inserted into the ear, but rather applied along the neck and behind the affected ear. To get rid of the fungus that may be causing the ear infection, apple cider vinegar is a good option. Apple cider vinegar changes the pH of the ear canal, creating an environment where bacteria and viruses cannot thrive. Mix one part apple cider vinegar with equal amount of water. Soak a cotton ball in the mixture. Put the cotton ball in your ear like a plug and leave it for about five minutes. Do this 3 times daily until symptoms improve. People use tea tree oil from centuries for treating various health conditions. To treat an ear infection, mixing 1 tablespoon of olive oil with 5-10 drops of tea tree oil in a small bowl, and add a small amount to a cotton ball. Place the cotton ball gently inside the ear and allow for the oils to penetrate the ear canal and let it sit for five minutes. Then turn and lay on your other side so that the mixture drains out of your ear completely. Follow this remedy two to three times a day for two days. According to a recent study conducted by Washington State University, garlic is 100 times more effective than two popular antibiotics at killing bacterial strains related to foodborne illness. It can be used solely as garlic oil and a few drops placed directly in the ear canal 3 times a day until the symptoms resolve. Consuming two to three cloves of raw garlic daily also helps speed up the healing process. Onion is a very common ingredient used in cooking. It has medicinal uses too, including for the treatment of an ear infection. Chop one small onion and place in a bowl-microwave for 2 minutes and leave to cool. When warm to touch drain out the liquid and keep, discard the onion. Put two to three drops of the juice in the infected ear, leave it for sometime and then turn your head to let it drain out of your ear. Salt is a simple and readily available home remedy with many healing properties. Pour a cup of coarse salt into a cup and heat it in the microwave for one minute. Mix the salt to help the heat distribute evenly and then heat it for an additional minute. Place the warm salt into a clean sock and fasten the end with a rubber band, apply it to your ear for 10 to 15 minutes at a time (testing first to make sure it won’t burn) . Repeat throughout the day as needed to help control pain. The symptoms persist for more than two days or if pain gets worse, call your doctor. In addition, if the fever rises or the cough and runny nose last for several days, that’s when the child needs to visit the doctor for a full evaluation.